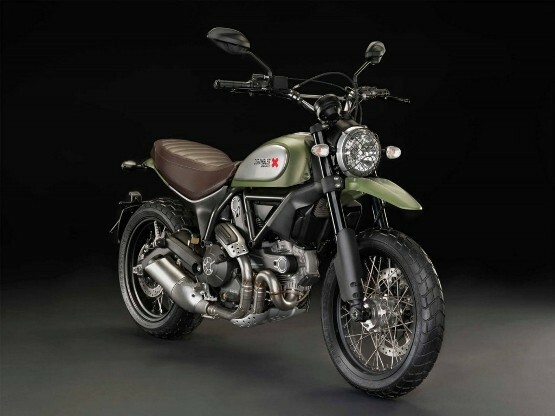 Ducati launched urban Enduro scrambler bike at INR 7,90,000 (ex-showroom Bengaluru). The Urban Enduro version is the ideal companion with which to get around urban obstacles with agility, but also to reach new places, riding on the less travelled roads. The brown seat with a ribbed design, lined with technical fabrics, offers first-class ergonomic comfort. The fork protectors, engine sump guard and the headlight grille protect the key parts of the bike on off-road sections, while the cross bar stiffens the wide handlebar. Additional references to the off-road world include the high mudguard in plastic fibre and the spoke wheels. Powered by 803cc L-Twin, Desmodromic distribution, 2 valves per cylinder, air cooled engine it pumps out 75bhp of power at 8,250 rpm and a peak torque of 68Nm at 5,750 rpm. It features Aluminium fule tank covers, fork protectors, higher front guard protector, Pirelli dual sport tyres and LED ring headlight and ABS. Recently, Ducati opened a showroom in Bangaluru which will offer its entire range of motorcycles Ducati Scrambler 821, Hyperstrada, Multistrada, Diavel and Panigale models.